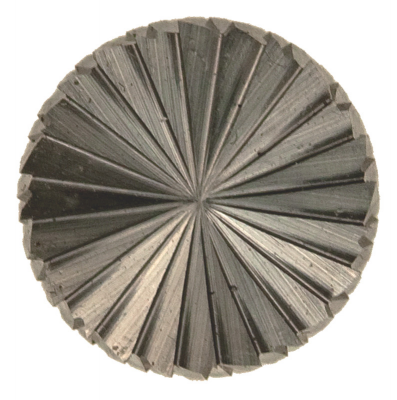 Applications: These wire end brushes are mounted on 6mm spindles and so fit drill chucks and air-tools with 6mm collets. 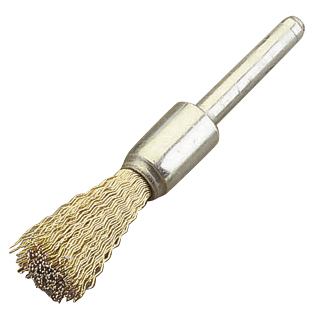 They are ideal for cleaning recesses and corners in metal fabrications. They are also relatively easy to reach into cylinders and holes. Mounted on 6mm (1/4in) spindle. 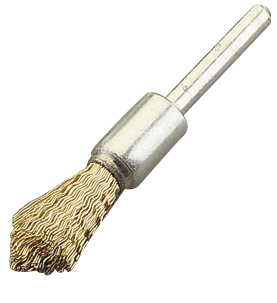 Crimped wire brushes use brass coated steel wire for increased flexibility and longer life. Twisted knot brushes are grey steel. Widths are nominal, will flair when rotated. Sold individually or in discounted packs of 12. 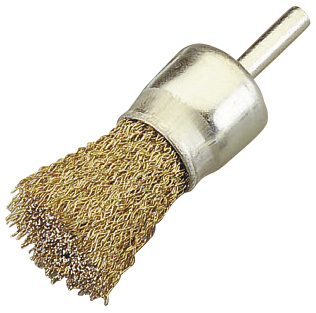 Also Available: We stock a stainless steel pointed end brush. Spirabands are used on expanding spindle mounted mandrels - useful for internal surfaces and shapes. These spindle mounted pointed end brushes are narrow and are ideal for de-carbonising cylinders and cleaning small corners. 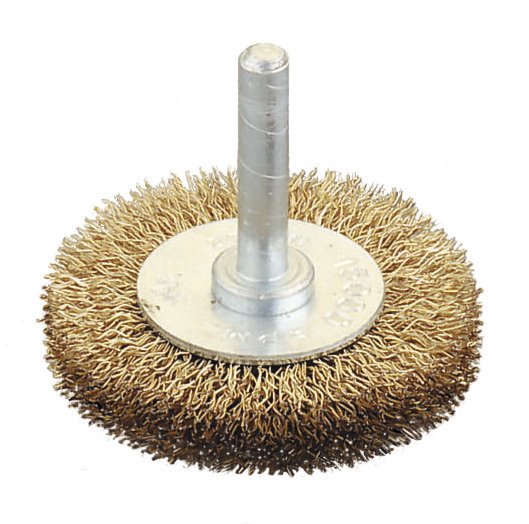 These radial wire wheel brushes are spindle mounted for use on air-tool collets and drill chucks.